A new study by researchers at Vanderbilt University Medical Center and the Shanghai Cancer Institute found women who ate more soy food prior to a diagnosis of lung cancer lived longer than those who consumed less. The study, conducted in Shanghai, China, was published in the March 25 issue of the Journal of Clinical Oncology. “To our knowledge, this is the first study to suggest an association between high soy consumption before a lung cancer diagnosis and better overall survival,” said lead author Gong Yang, M.D., MPH, research associate professor at VUMC. Lung cancer is the No. 1 cause of cancer death among women in the United States and worldwide, with a five-year survival rate of only about 15 percent. Previous research has suggested that postmenopausal hormone supplements which typically contain estrogen and/or other hormones may promote lung cancer progression. Studies have also shown that soy food, rich in isoflavones that have chemical structures similar to estrogens, may have anti-cancer effects. The new study revealed that those who ate the most soy food prior to being diagnosed with lung cancer survived longer than women who ate the least. The researchers adjusted for demographic and lifestyle characteristics and other clinical factors such as tumor stage and treatment. “Women who ate the most soy food lived longer than those who ate the least with 60 percent of patients in the highest consumption group still alive 12 months after lung cancer diagnosis, while 50 percent in the lowest consumption group were alive at the same point,” said Yang. The highest intake levels were equivalent to 4 ounces or more of tofu per day while the lowest levels were equivalent to approximately 2 ounces or less of tofu. Researchers found that the association of soy food intake with lung cancer survival appears to follow a dose-response pattern until soy food intake reaches the 4-ounce tofu equivalent per day. No additional benefits were observed for women who ate more soy food than the 4-ounce tofu equivalent. The association between soy food and lung cancer survival was more pronounced among women who never smoked and approximately 92 percent of the lung cancer patients in this group were never smokers. The investigators followed 444 women diagnosed with lung cancer, 318 of whom died during follow-up. The patients were among 74,941 adult women who enrolled in the Shanghai Women’s Health Study (SWHS) between 1997 and 2000. Participants were asked about their dietary habits at the time of enrollment and, again two to three years later. The food-frequency questionnaire assessed soy foods commonly consumed in Shanghai, including soy milk, fresh, fried, dried or pressed tofu, fresh green or dry soy beans, soy sprouts and other soy products. Researchers also asked the women about their smoking history, lifestyle habits, medical history, demographic characteristics and other exposures. “This study assessed soy consumption prior to the lung cancer diagnosis and it is not clear if a diet rich in soy foods would have any impact on survival after patients have already been diagnosed with lung cancer,” said Yang. The investigators also noted that the study was limited to women in China and the findings may not necessarily apply to patients in other parts of the world. Because researchers studied soy food intake, inferences should not be made about the benefits or risks of dietary supplements that contain soy. This study builds on previous work by these researchers which found that nonsmoking women who ate higher amounts of soy food were less likely to develop lung cancer. 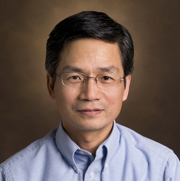 Other investigators who contributed to the study include Xiao Ou Shu, M.D., Ph.D., MPH, Wei Zheng, M.D., Ph.D., MPH, Wanqing Wen, M.D., MPH, Xianglan Zhang, M.D., MPH, Hui Cai, M.D., Ph.D., Vanderbilt; Hong-Lan Li, M.D., MPH, Yong-Bing Xiang, M.D., MPH, Yu-Tang Gao, M.D., Shanghai Cancer Institute; Wong-Ho Chow, Ph.D., and Bu-Tian Ji, M.D., Ph.D., National Cancer Institute. The study was supported by funding from the National Cancer Institute, which is a division of the National Institutes of Health (R37CA070867).